Ports are basically made for transportation of cargo across two or more countries or across the coastal cities of the same country . Goods can be easily and conveniently transported through this mode of transportation . India has a long coastline of 7516.6 kilometers , forming one of the biggest peninsulas in the world , which creates a good space for transportation overseas . According to the Ministry of Shipping , around 95 per cent of India's trading by volume and 70 per cent by value is done through maritime transport . It is serviced by 13 major ports , 200 notified minor and intermediate ports . 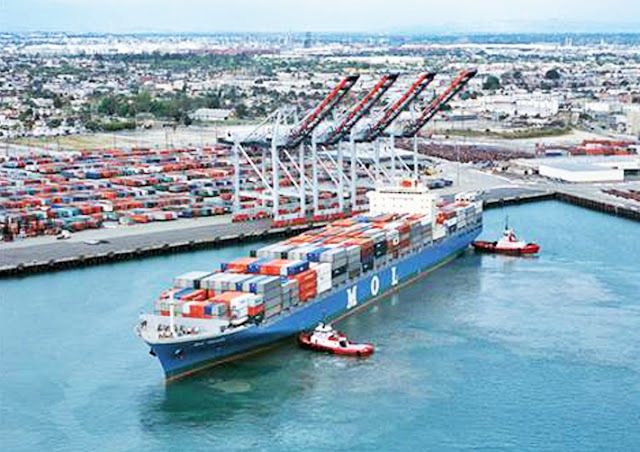 The total 200 non-major ports are in the following States:- Maharashtra (48); Gujarat (42); Tamil Nadu (15); Karnataka (10); Kerala (17); Andhra Pradesh (12); Odisha (13); Goa (5); West Bengal (1); Daman and Diu (2); Lakshadweep (10) ; Pondicherry (2) ; and Andaman & Nicobar (23) . Government of India plans to modernise these ports and has approved a project called Sagarmala . The ports and shipping industry in India plays a vital role in sustaining growth in the country’s trade and commerce. The Indian Government has allowed Foreign Direct Investment (FDI) of up to 100 per cent under the automatic route for port and harbour construction and maintenance projects . The government has also initiated National Maritime Development Programme (NMDP), an initiative to develop the maritime sector with a planned outlay of US$ 11.8 billion . Further , the ports can be classified in a several different ways . Indian government has a federal structure , and according to its constitution, maritime transport is to be administered by both the Central and the State governments . While the central government's shipping ministry administers the major ports, the minor and intermediate ports are administered by the relevant departments or ministries in the nine coastal states Andhra Pradesh, Odisha, West Bengal, Tamil Nadu, Kerala, Karnataka, Goa, Maharashtra and Gujarat . Several of these 187 minor and intermediate ports have been identified by the respective governments to be developed , in a phased manner , a good proportion of them involving public–private partnership . It is the biggest port of India which handled about 87 million tonnes of cargo during 2013-14 . 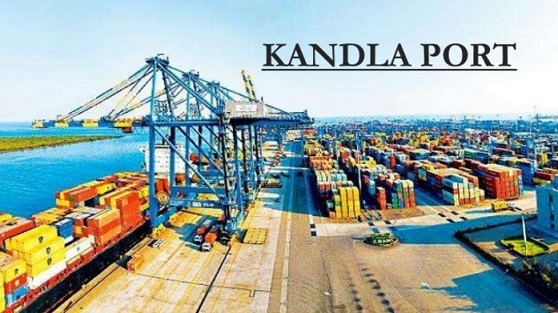 Kandla port is located in Kutch district of Gujarat in the Gulf of Kutch . It is the major sea port on the west coast . One of the key facts about this coast is that this coast is the first Special Economic Zones of India and also of Asia .Kandla was constructed in 1950s as the chief seaport serving western India , after the partition of Pakistan from India left the port of Karachi in Pakistan . Kandla Port is hub for major imports like petroleum, chemicals and iron also export grains,salt and textiles . Kandla is the first Export Processing Zone in India . Covering over 310 hectares, the special economic zone is just nine kilometers from the Port of Kandla . Today, the Port of Kandla is India's hub for exporting grains and importing oil and one of the highest-earning ports in the country . Major imports entering the Port of Kandla are petroleum , chemicals, and iron and steel and iron machinery, but it also handles salt, textiles, and grain . A town has grown up on the port with a school and hotel etc. Paradip Port is the senond biggest port in terms of handling cargo . This port handled about 68 million tonnes of cargo during the span of 2013-14 . 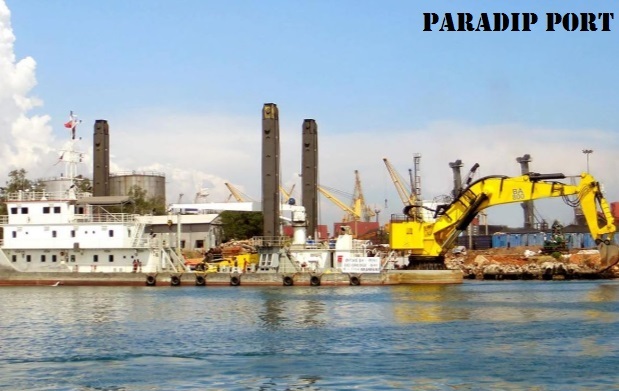 Paradip Port is basically an artificial, deep-water port on the East coast of India in Jagatsinghpur district of Odisha. It is situated at confluence of the Mahanadi river and the Bay of Bengal . It is situated 210 nautical miles south of Kolkata and 260 nautical miles north of Visakhapatnam. The port is administered by the Paradip Port Trust (PPT), an autonomous corporation wholly owned by the Government of India . The fully automated coal handling plant can handle up to 20 million tons of coal imports per annum. A single point mooring system handles Very Large Crude Carriers for Indian Oil . As of 2015, the approach channel was being dredged to increase depth to at least 18.7 metres (61 ft) to enable the port to handle capesize vessels . A western dock with 6 additional berths are completed. Other massive expansion projects are planned to increase the port's cargo handling capacity to over 180 million tons by 2020 . 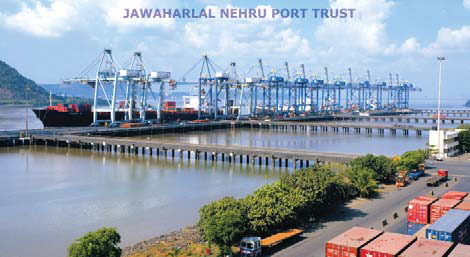 Jawaharlal Nehru Port, also known as Nhava Sheva, is the largest container port in India . This port is the third biggest ports of India which handled about 62.37 million tonnes of cargo during the year 2013-14 . Located east of Mumbai in Maharashtra , the port on the Arabian Sea is accessed via Thane Creek . Its common name derives from the names of Nhava and Sheva villages that were situated here . This port is also the terminal of Western Dedicated Freight Corridor proposed by Indian Railways . 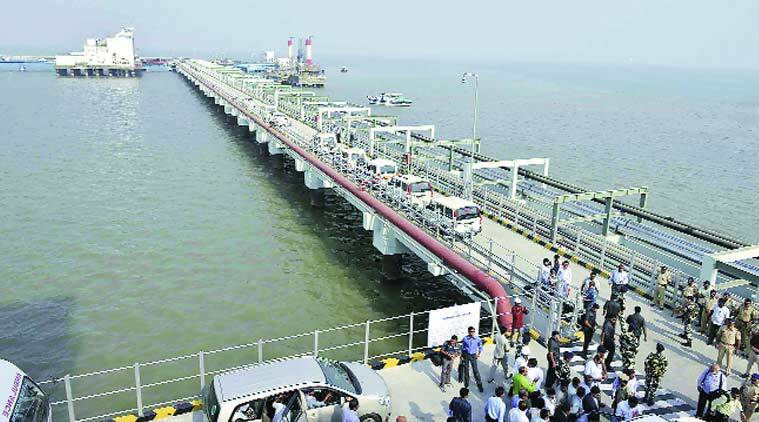 This new port has been built at an island named Nhava Sheva across the famous Elepthanta caves, about 10 km from Mumbai. Built at the cost of Rs. 880 crore, this port is named Jawaharlal Nehru port as a tribute to the first prime minister of India. The main purpose of this port is to release pressure on the Mumbai port.The port is equipped with the most modem facilities having mechanised container berths for handling dry bulk cargo and service berth etc. Most of the operations are conducted with the help of computers. The port is linked by road and rail to other railway routes and National Highways avoiding Mumbai city altogether.It is a twin port of Mumbai so far its hinterland is concerned. This is the fourth biggest ports of India in terms of its cargo capacity . This port handle about 59.19 million tonnes of cargo during the session of 2013-14 . Mumbai Port Trust is a body which handles this port . The harbour spread over 400 square kilometres (150 sq mi) is protected by the mainland of Konkan to its east and north and by the island city of Mumbai to its west . The harbour opens to the south to the Arabian Sea . The port is administered by the Mumbai Port Trust (MbPT), an autonomous corporation wholly owned by the Government of India . The port is primarily used for bulk cargo, while most container traffic is directed to Nhava Sheva port across the harbour. This is the fifth biggest port of India with a capacity of 58.50 million tonnes during the year 2013-14 . 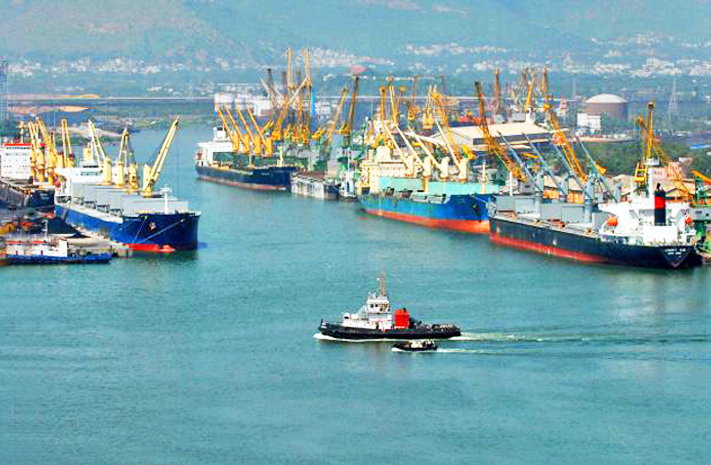 Visakhapatnam Port is one of 13 major ports in India and the only major port of Andhra Pradesh . It is located on the east coast of India and is located midway between the Chennai and Kolkata Ports . Visakhapatnam Port has three harbours - the outer harbour, inner harbour and the fishing harbour . The outer harbour has 6 berths capable of handling vessels with a draft up to 17 meters while the smaller inner harbour has 18 berths that are Panamax compatible . The Dolphin's Nose Hill to the north of the entrance channel protects the harbour from cyclones that strike the east coast . The port is located on the area of a creek through which the coastal river Narava Gedda joins the sea. These are the prime ports overseas , while if you want to deliver your goods using trucks , them you can book them online through various websites like GoodsOnMove , which saves your time and money and also hasslefree site. No Comment to " PORTS IN INDIA "